Buddha statues are representations of the Buddha’s enlightened body. Each Buddha manifests a different aspect of enlightened energy such as Wisdom, Compassion, Generosity, Protection, Healing and many more. Furthermore, Buddha statues are not just aesthetically appealing but every one of their postures, gestures, ornaments and implements is a symbolic teaching in itself – a roadmap to Enlightenment. 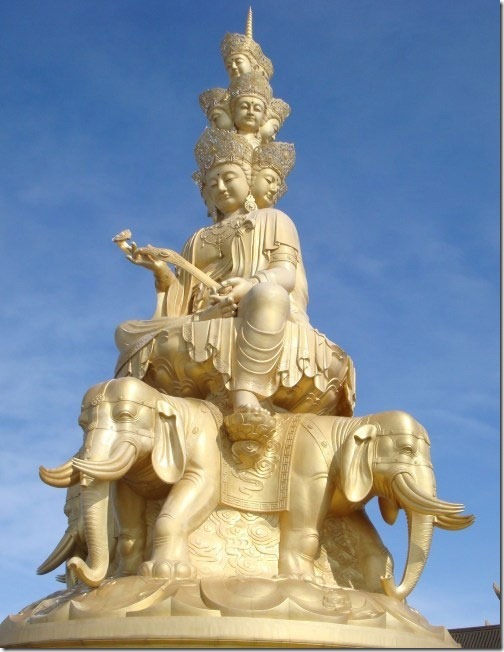 Why Sponsor The Medicine Buddha Statue? Sponsoring the 15ft Medicine Buddha is tremendously meritorious, as one receives the healing blessings, good health, long life and purification of negative body karma. One creates the causes to be reborn with a perfect healthy human body in one’s next life and the connection with Medicine Buddha for healing in times of need. Main sponsors of the 15ft Medicine Buddha statue will have their name inscribed on the base of the statue and prayers will be dedicated to them continuously. One’s mind is at peace. There is no danger in the day, and no nightmares in one’s sleep. One is always protected and is free from the harms of plague, natural calamities, war and imprisonment. One will be born to dignified family; never will they be born to underprivileged families. They will also be cherished by their parents, siblings, and other relatives. Although one does not actively seek it, one will naturally be bountifully supplied with food and clothing, there is harmony in the family, and one’s wealth and prosperity will increase. One will possess beautiful features such as bright eyes and elegant looks in their after lives; their physical bodies, arms and feet are well-proportioned. 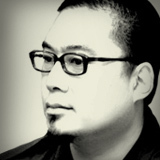 One’s speech and actions brings happiness to all; wherever one goes, one is always respected and supported by the people. The dull will become intelligent, the sick will become healthy and the poor will become rich. One’s past negative karmas will lighten if they are heavy, they will be purified if it is light. 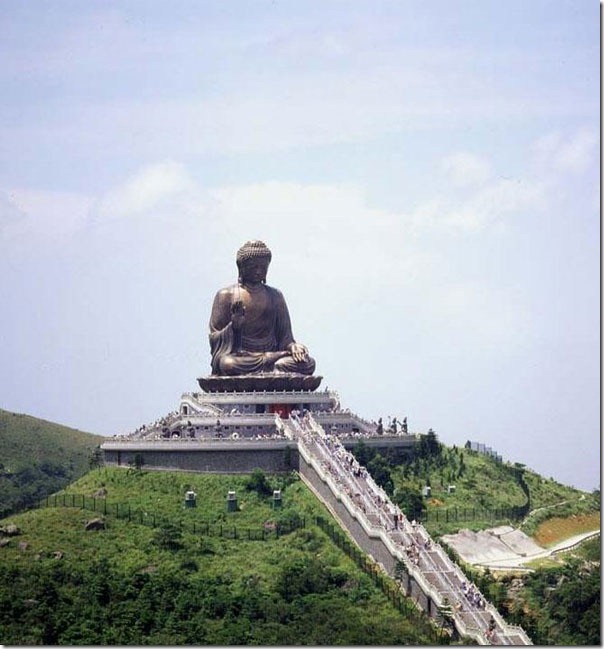 Below are some of the awe-inspiring outdoor Buddha statues around the world. Pilgrims and aspirants far and wide travel to these holy sites to make their offerings and prayers. Together we can make The Medicine Buddha statue a reality and a place for healing externally as well as internally. 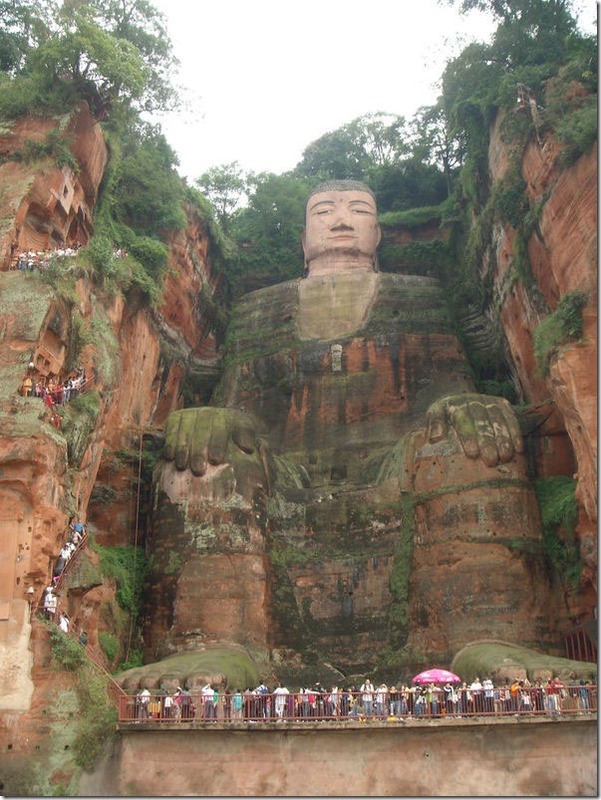 Big Buddha of Leshan (Maitreya Buddha) (232ft) Sichuan Province, China. 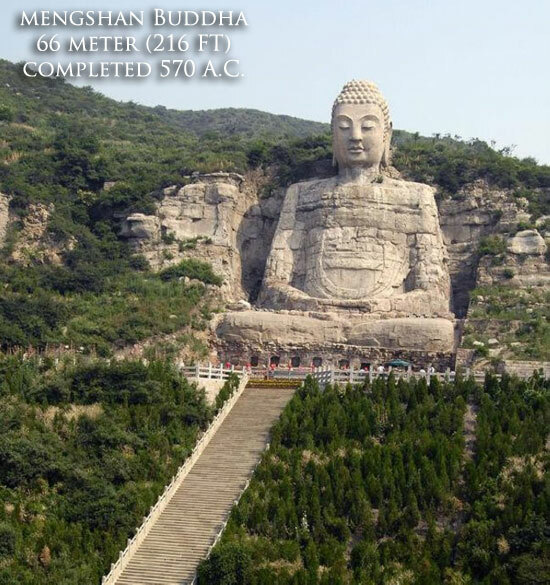 Mengshan Buddha statue (216ft) Shanxi Province, China. 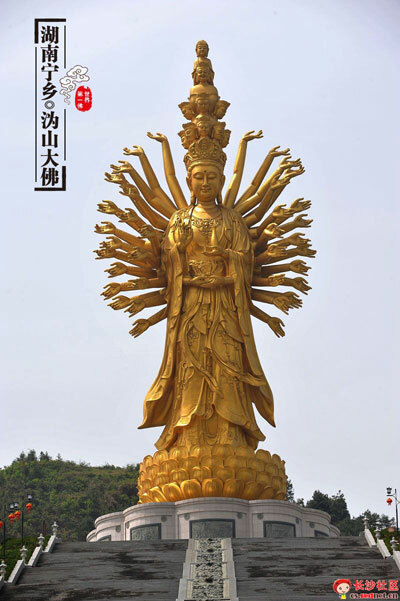 Thousand-arm Kuanyin/Chenrezig/Avalokiteshvara (324ft) Hunan Province, China. 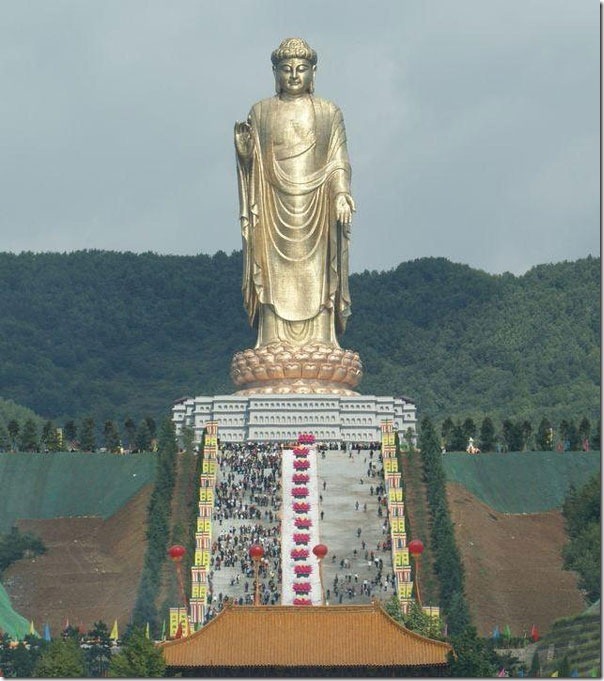 Samantabhadra Bodhisattva statue (157ft) Sichuan Province, China. 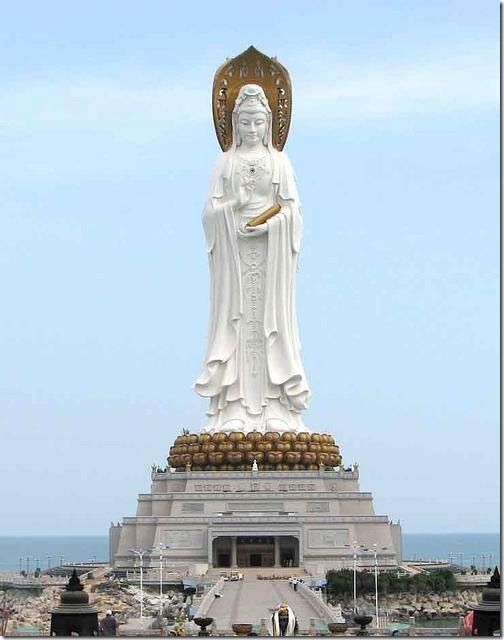 Avalokiteshvara Bodhisattva (Kuan Yin) statue (354ft) Hainan Province, China. 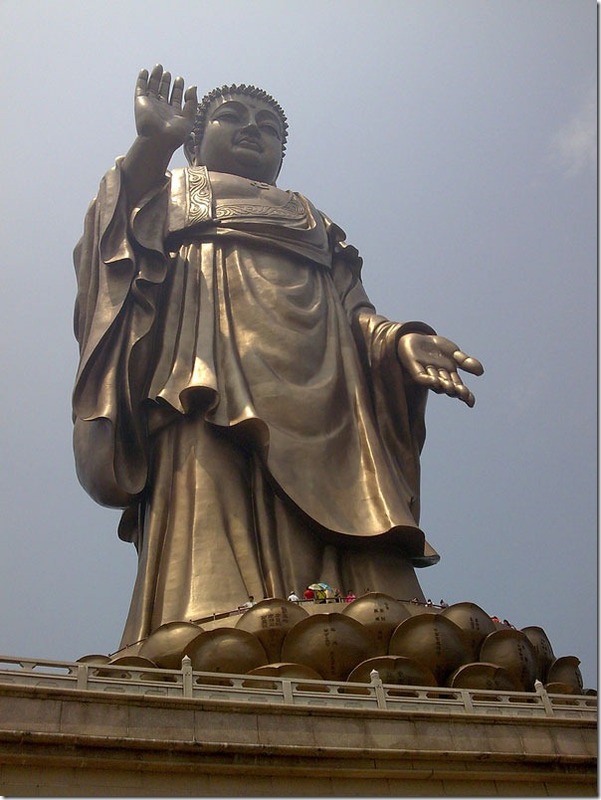 Big Buddha of Lingshan (Shakyamuni Buddha) (288ft) Jiangsu Province, China. 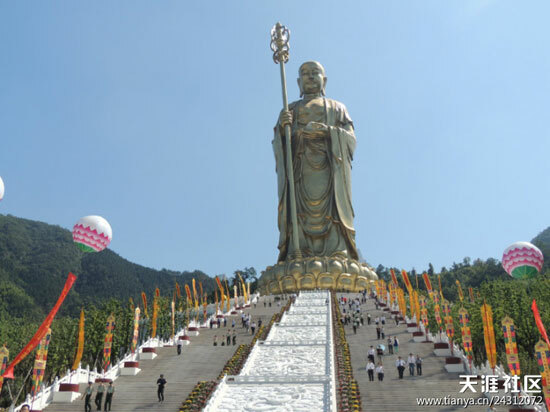 Chitigarbha Bodhisattva statue (324ft) Anhui Province, China. 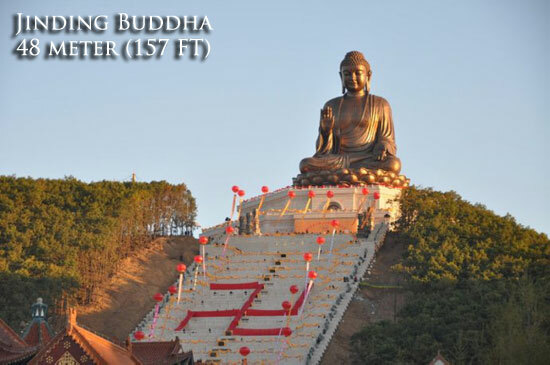 Big Buddha of Lushan (Locana Buddha) (551ft) Henan Province, China. 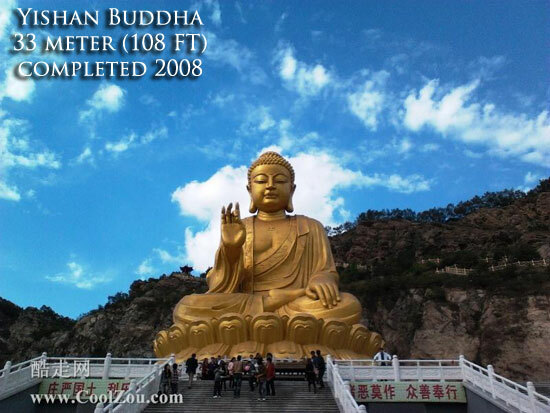 Yishan Buddha (108ft) Jiangsu Province, China. 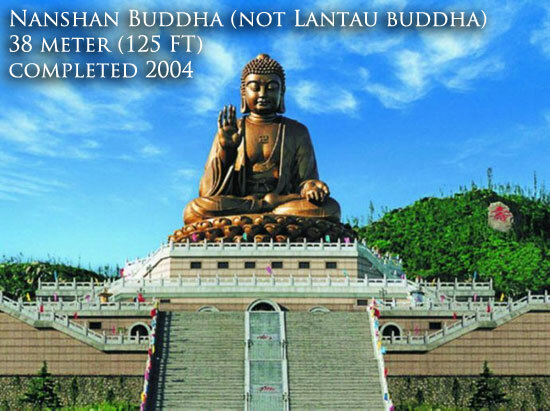 Big Buddha of Tiantan (Shakyamuni Buddha) (86ft) Lantau Island, Hong Kong.